Bangalore December 11, 2012: Nation remembers one of the greatest social reformer of post Independent India, the 3rd Sarasanghachalak of RSS, Madhukar Dattatreya Deoras, popularly called as Balasaheb Deoras, on his 97th birth anniversary today. Deoras known for his great leadership skills, who headed largest voluntary organisation RSS, at its tough times during anti-emergency movements (of 1975-78) and Ayodhya movement (of 1992), leading successfully after the demise of MS Golwalkar, who was the second Sarasanghachalak of RSS. 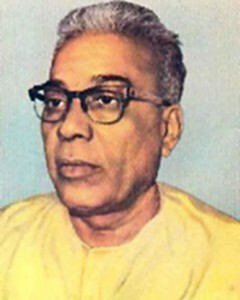 Madhukar Dattatraya Deoras (December 11, 1915 - June 17, 1996), popularly known as Balasaheb Deoras, was the 3rd Sarsanghchalak of the Rashtriya Swayamsevak Sangh (RSS) from 1973 till 1994, the largest Hindu nationalist organisation in World. 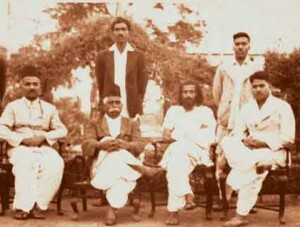 Balasaheb first worked as a pracharak in Bengal and was then appointed as Karyavaha (Secretary) of the Nagpur City Unit. In 1946, he became the Sahsarkaryavaha (Joint General Secretary) and in 1965, the Sarkaryavaha (General Secretary) of RSS. On 5 June 1973, he became the Sarsanghchalak after the death of Madhav Sadashiv Golwalkar. 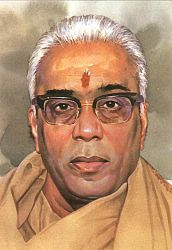 Balasaheb Deoras was born on 11 December 1915 in Nagpur to Dattatreya Krishnarao Deoras and Parvathibai. His family hailed from Andhra Pradesh but had settled in Nagpur and comprised two brothers and two sisters. His younger brother Bhaurao Deoras also became a senior pracharak of the RSS and helped make some Congressmen —usually antagonistic to RSS— closer to it. The family was greatly interested in farming and the young Balasaheb was inclined to this practice as well. This may have prodded him to join RSS and weed out the prevalent social and political evils. He was educated in New English High School and matriculated from Berar Board of Secondary Education of the Central Provinces in 1931. Then, Balasaheb graduated from Moris College (now Nagpur Mahavidyalaya) in 1935 and obtained his LLB degree in College of Law, Nagpur University. Inspired by Dr. Hedgewar, he was associated with the RSS since its inception. Deciding to dedicate his life to the goals of RSS, he neither practiced law nor married and became a pracharak (full-time worker) of the RSS. Balasaheb first worked as a pracharak in Bengal and was then appointed as Karyavaha (Secretary) of the Nagpur City Unit. In 1946, he became the Sahsarkaryavaha (Joint General Secretary) and in 1965, the Sarkaryavaha (General Secretary) of RSS. On 5 June 1973, he became the Sarsanghchalak after the death of Madhav Sadashiv Golwalkar. Balasaheb's assuming charge of the Sangh happened to be under trying circumstances. Within just a couple of years of his stewardship of the Sangh, Smt.Indira Gandhi imposed Emergency and started a crackdown on the Opposition. The RSS was banned and Balasaheb, along with thousands of fellow swayamsevaks was arrested and detained for two years. Many leaders, including Jayaprakash Narayan felt that the dark night of internal slavery would never end and that the country would never be able to see the dawn of freedom and democracy in their lifetime but Balasaheb didnot give up. The inspiring saga of how the entire Sangh brotherhood rose to the occasion staking their all reflected a spirit of martyrdom. The most crucial and dominant role they played in the successful anti-Emergency struggle forms a unique and unparalleled page in the annals of peaceful democratic revolutions in the world. The Sangh leadership also set up yet another record in refusing to be tempted by power in the post-Emergency era. Swayamsevaks stood true to the Hindus vision of an ideal social set-up in which there would be millions of workers who would keep themselves aloof from every kind of material inducement and rewards-power, pelf or even name and fame- solely dedicated to the cause of all round national rejuvenation. Gifted with a profoundly critical intellect, Balasaheb gave a much-needed fillip to the process of a direct dialogue with workers at different levels. He himself would sit for long hours seeking answers to a number of doubts arising in the minds of Swayamsevaks. This two-way intellectual feedback proved very useful in firming up the conviction of the rank and file of the Sangh Parivar. Such an organisational direction was particularly needed in view of the fast-changing intellectual agenda at the national level, with the phenomenal rise of Hindu awareness and Hindutva coming up to centre stage. Balasaheb continued as Sarsanghachalak till 1994 when he stepped down due to ill health — leaving behind a shining legacy and paving the way for Rajendra Singh to replace him. Declining health eventually resulted in his death on 17 June 1996. Coming from an orthodox family, Deoras' reading and interpretation of Hindu scriptures convinced him that none of them sanctioned untouchability— a gruesome social practice of mistreating a particular section of population. He even persuaded his orthodox mother of this truth so much so that she is even said to have washed plates of the untouchables (or Harijans, the children of God) with whom the young Deoras would often dine at his home. A year after becoming the Sarsanghchalak in 1973, Deoras even went on to declare that "If untouchability is not wrong, nothing in the world is wrong" - in the spirit of Abraham Lincoln who thundered: "If slavery is not wrong, nothing in the world is wrong." This 1974 mantra has resounded among millions of swayamsevaks ever since— with many of them embracing the Harijans, trying to help them in their struggle, especially in times of despair. "It's our national duty to have the barriers of caste, region, language among the Hindus eradicated," Deoras would often say. Though Deoras formulated the Sangh's response in support of the V.P. Singh government's reservation policy in 1990, it was more out of social compulsions. He did make a few characteristic fiery speeches and silenced hostile voices, which claimed reservation would drive merit to the backseat and that society could not afford to have bad doctors and bad professionals. "This society can afford to have bad doctors for some years, but it cannot afford to break. Think for a while and tell me what would have been your response if you belonged to the deprived caste," Deoras asked. The Sangh's decision to support the Mandal Commission Report and to have the foundation stone of the proposed Ram temple at Ayodhya laid by a Harijan in November 1989 was part of a larger campaign. The pro-Reservation stance and the Ram-plank confirmed the sincerity of the Sangh towards man making and thus, nation building. Consolidating Hindu society as a functioning cohesive plurality was the goal of the Sangh. Breaking tradition, an ailing Deoras announced that Prof. Rajendra Singh, his associate for years, would succeed him on 11 March 1994. This was the first time in RSS that the Sarsanghachalak announced a successor when alive, giving up the practice of a 'will' being made public posthumously like his predecessors did. Despite being maligned by the government and the left leaning main stream Indian media, RSS under Deoras grew fast — it has about 30,000 shakhas, each attended every day by 40-50 volunteers. It also has a sizable presence in slums, Harijan bastis and communities in about 25,000 of the 67,000 tribal villages. Besides, Deoras involved his volunteers in the field of education under the aegis of Vidhya Bharati, and also floated Seva Bharati, a missionary outfit to serve the downtrodden and tribals and to counter the covert evangelical activities of the Christian missionaries. (Ref. : Outlook Magazine | Jul 03, 1996).